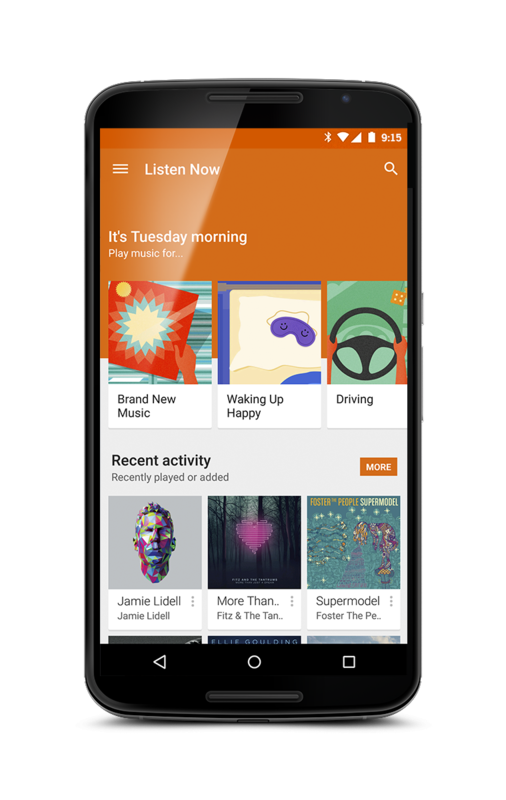 Yesterday we showed you many app redesigned with material design from the firmware of the Nexus 6, but starting today Google announced the Play Music officially and will be live on Play Store in few hours the Play Music version is 5.7.1717Q.1530520. As you can see in the rendering of Nexus 6 next door, the app just has a new design that leaps to the eye, but you can also see the new playlist that you can choose depending on what you are doing. Remember when Google bought Songza , but at the moment is only available in the United States and Canada who joined Play Music All Access. 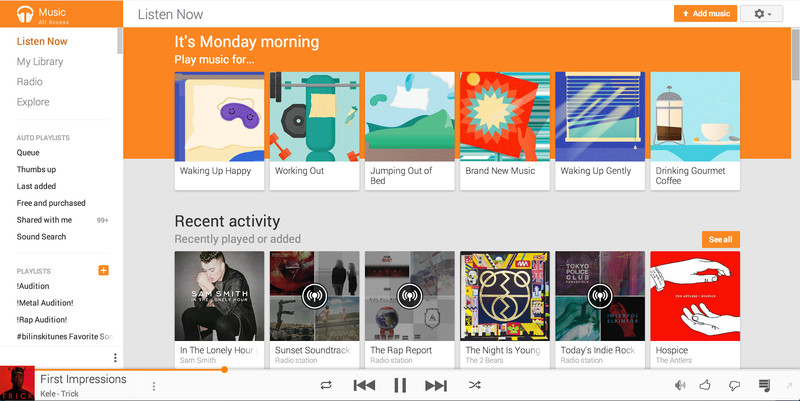 Today Songza's primary differentiating feature, playlists that are matched to a "mood" or situation, is being integrated into Google Play Music's subscription service. On the web playlists will appear in the "Listen Now", which will also be redesigned to allow you to discover new music more easily.